After a few days of rain, the forecast for today was sunny and dry so an outing was promptly planned. We are currently staying for a few days in Oxford with James’s parents. There are so many places to visit in this part of the country, but we settled on Winchester which is only an hours-drive south. None of us had visited before and we were all keen to see the cathedral and to have a meander around the shops. The Cathedral is full of fantastic carvings and statues. There must be so much to spot if you know what to look for. 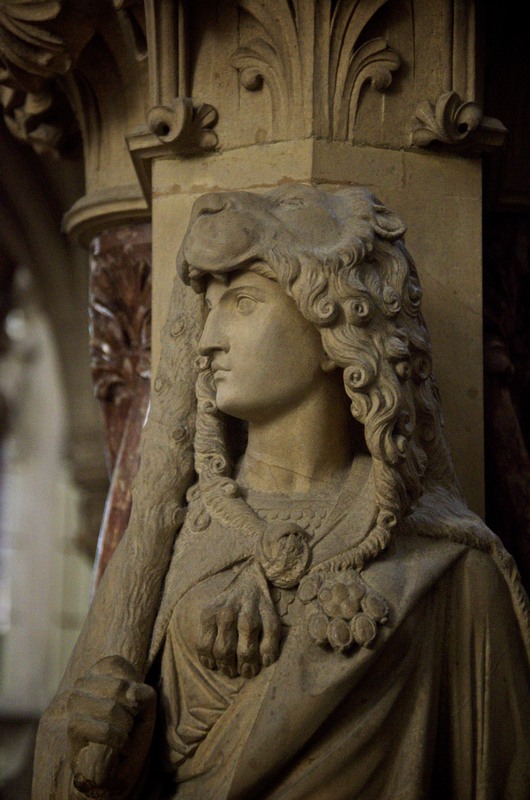 I loved this statue depicting ‘Fortitude’ which was in the South Transept. The South Transept itself must have been one of the oldest areas of the Cathedral. 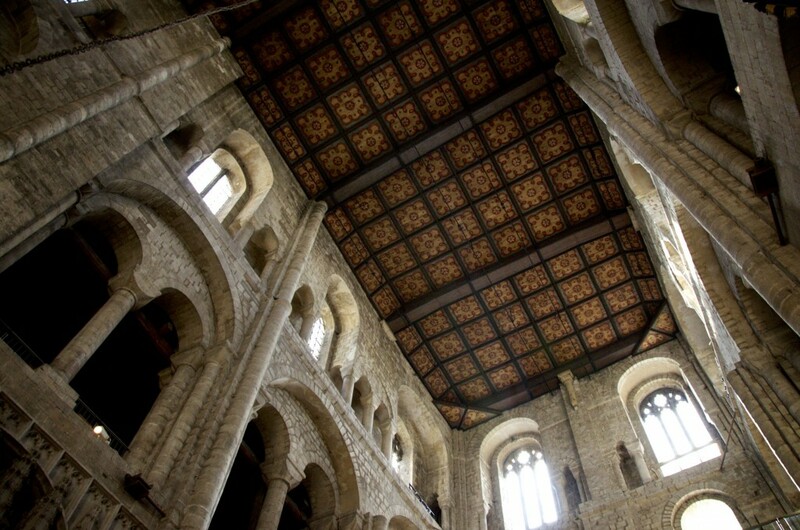 Its worn walls and wooden roof were highly atmospheric. Here’s a small section of the main stain glass window. I heard one of the guides explaining that the window survived the Reformation but was later destroyed in the Civil War. 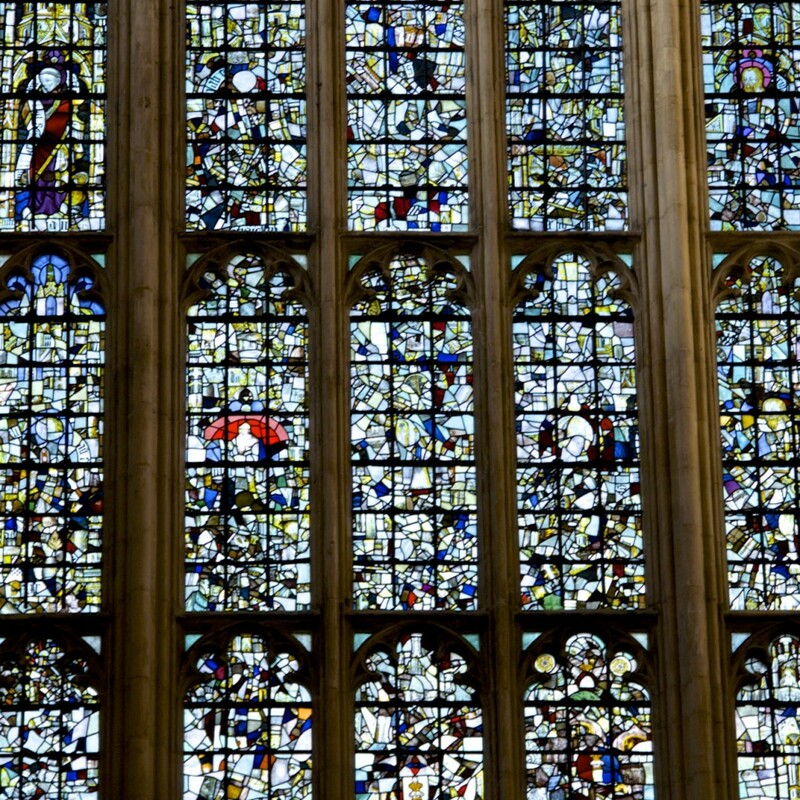 These pieces of glass were collected from around the Cathedral and positioned randomly in the window. Finally, we went down into the crypt. I wasn’t sure what to expect, but it certainly wasn’t this! 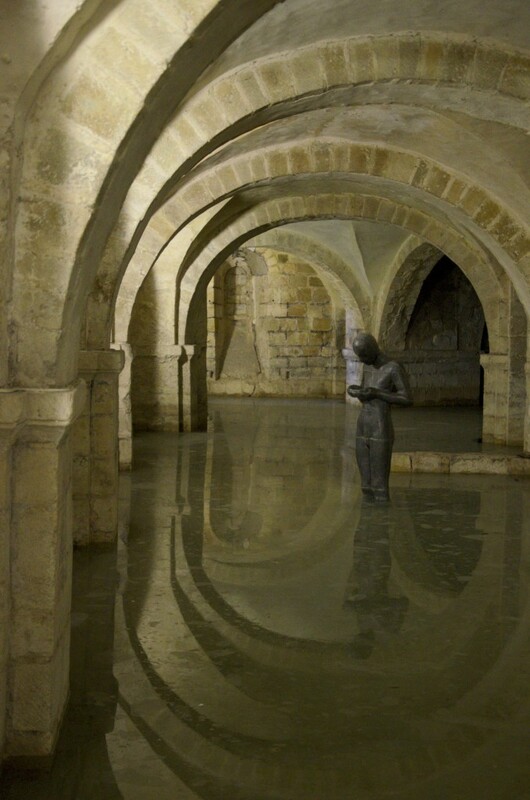 There is an Antony Gormley statue up to his knees in water. There is a well under the High Alter and, during the rainy months, the water rises to fill the crypt. It was strangely serene down there. Wonderful photos and commentary, as normal. The cathedral and crypt are incredible.